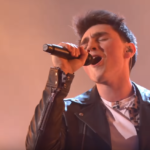 During the weekend the 4th X-Factor UK live show took place with Brendan Murray, making a second consecutive good perfromance. The Irish Eurovision 2017 representative, after going through the 3rd live show of the competition, came back on X-factor stage on Saturday night, where all song choices were influenced from the Movies. This week Brendan performed Everybody hurts by REM . After his performance he received from the judges, maybe the most positve comments so far in the competition, as they outlined what how perfecty the song fit his voice and he delivered it in an impressive way. One of the judges, Nile Rodgers who was replacing Robbie Williams, stated moved to tears by his performance. Remarkable was the warm and continuous applause coming from the judges and audience at the end of his performance. After Saturday’s live perfromances, this evening the results from the voting were revealed , according to which two eliminations had to take place. The contestant with the less votes went home directly while the next two contestants with the lowest votes had a sing off and the judges were to determine who they were sending home. In case of a deadlock in the judge’s voting the outcome is determined by the public voting. Brendan, who is part of the Boy’s team, mentor of which is Louis Tomlinson, former member of One Direction, managed to survive this week’s show too and will be present competing in the 5th week of live shows. 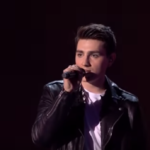 Brendan represented Ireland at Eurovision 2017 in Kiev with his entry Dying To Try . Despite his magical vocal performance he didn’t reach the grad final. 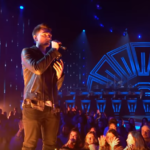 What do you think of Brendan’s second live x-factor performance? How far do you think that the Irish Eurostar can get in the show? Stay tuned on the INFE Network for more news about Brendan and other Eurovision Stars.